This post is sponsored by Wasa, but all opinions are my own. Thank you for supporting Fit Foodie Finds! 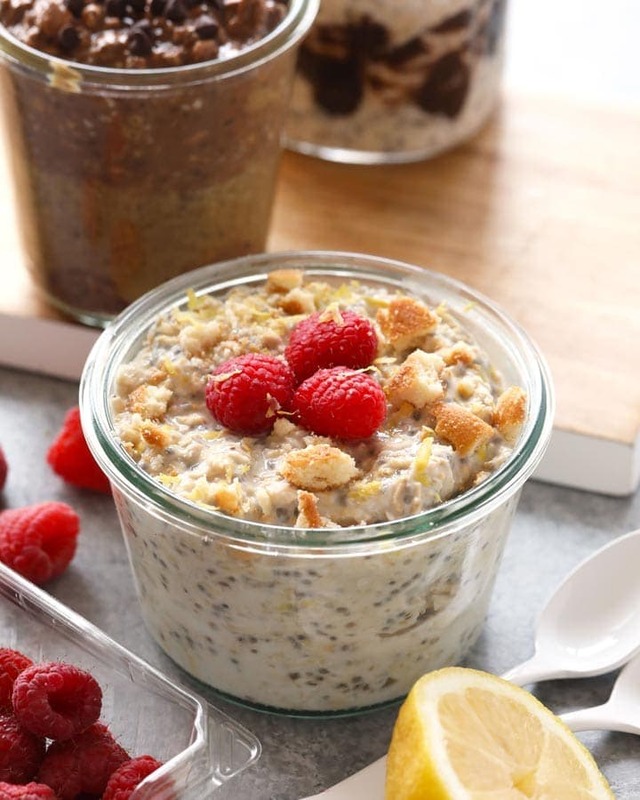 Talk about a delicious snack that tastes like dessert! 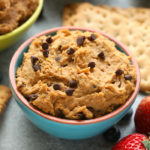 Make one of these Healthy Edible Cookie Dough recipes and use your Gluten Free Wasa crispbread crackers as a crunchy dipper for a healthy snack, appetizer, or dessert option. 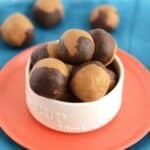 These edible cookie dough recipes are made with a garbanzo bean base plus tons of different healthy add-ins such as nut butter, maple syrup, and cocoa powder to make them healthy and delicious. I can’t even with these recipes! 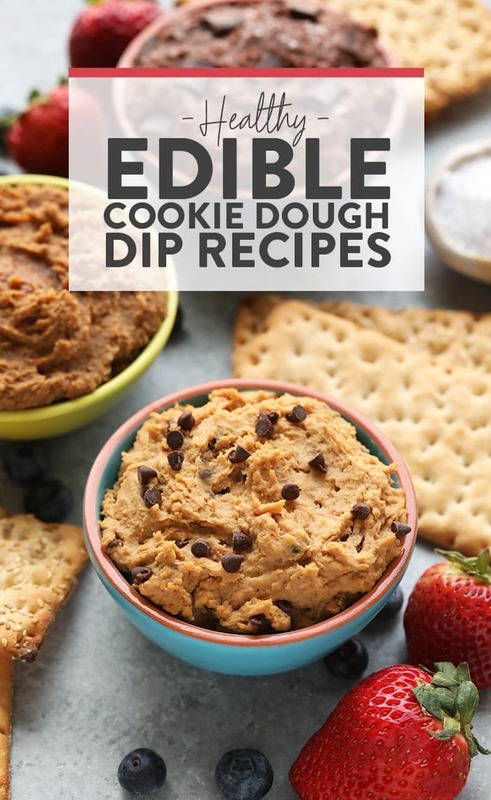 GUYS, have you ever made healthy edible cookie dough dip? 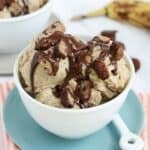 These three edible cookie dough recipes are about to change your life, mostly because they’re packed with protein, fiber, and good-for-you ingredients all while tasting like the real deal. Today we’re partnering with our friends at Wasa. Wasa crackers are the perfect vessel to take your healthy cookie dough dip from the bowl straight to your mouth. 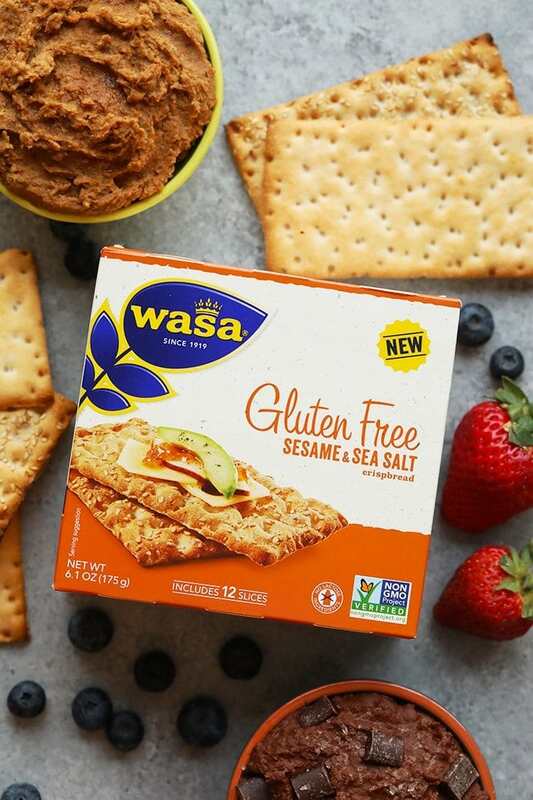 Wasa just came out with a new gluten-free line that we’re absolutely loving. They’re crunchy, delicious, don’t break when you’re scooping through a delicious dip (ain’t nobody got time for that! ), and have quickly become the crispbread cracker we reach for when we need a healthy snack to serve friends. You guys know that we’re cheese people, well Wasa is our go-to crispbread cracker for charcuterie, too. 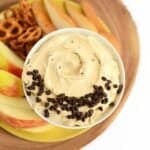 Today we wanted to get a little creative with what we paired our Wasa with and thus, edible cookie dough dip! 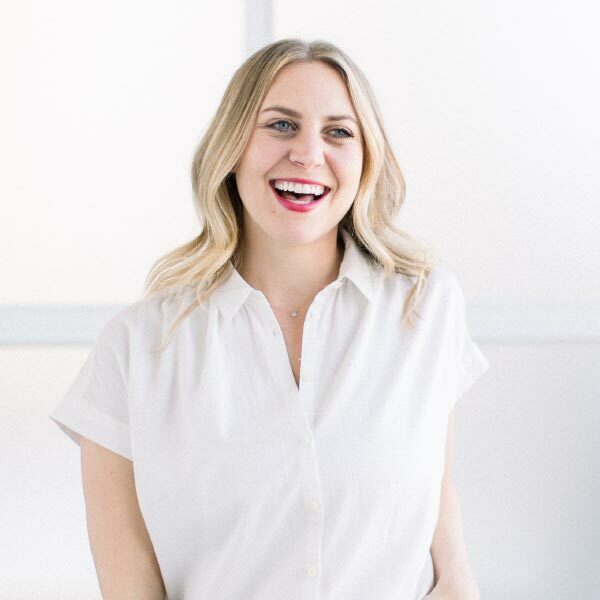 Wasa launched this line in partnership with the Celiac Disease Foundation, which helps the broader gluten-free community through advocacy and education. We love these crispbread crackers because they’re super nutty and crunchy and made with simple real ingredients. Here are more deets to know! 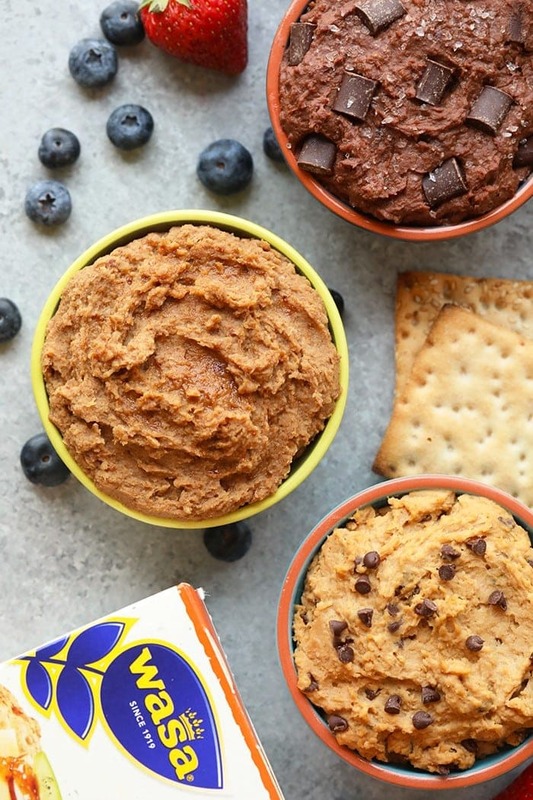 We came up with not 1, not 2, but 3 different healthy cookie dough dip recipes! 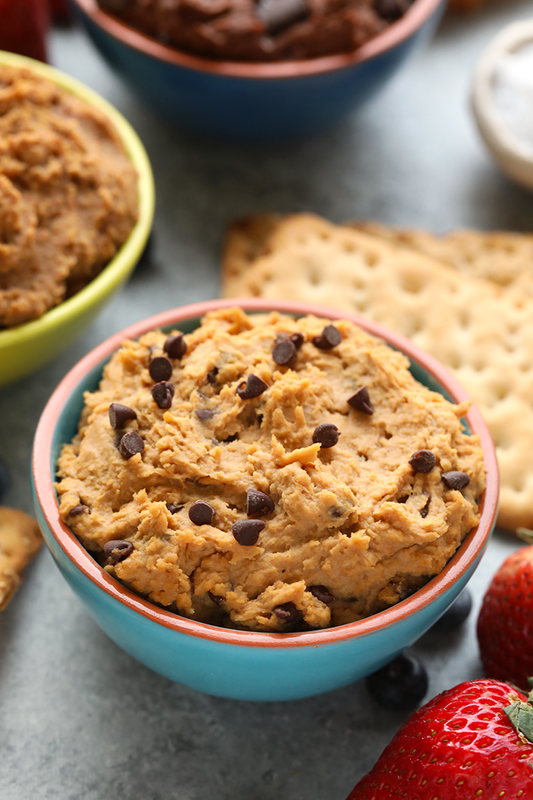 Now, these aren’t your average cookie dough dip recipes because…they’re actually made with a base of garbanzo beans. HOWEVER…you’d never even know! 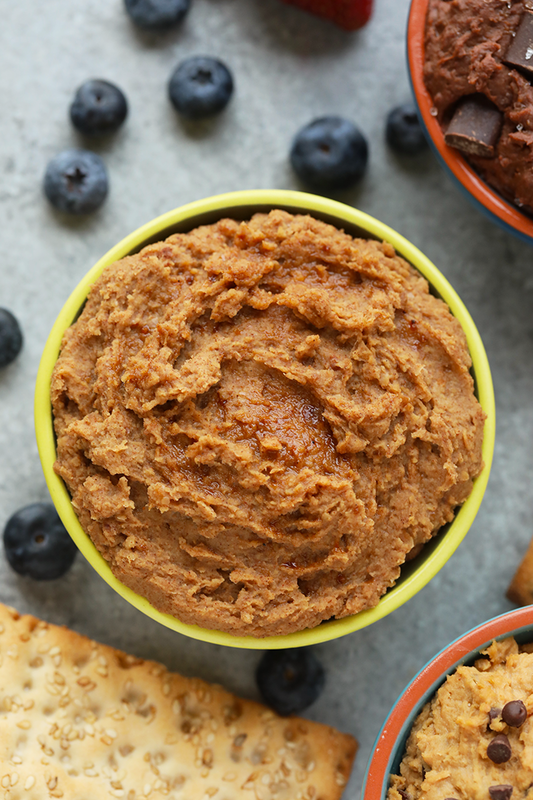 Let’s talk about the base we used for these dips! Each of these recipes was made with a very similar base. Because I know you are all creative in your own ways and might want to deviate, here are the ingredients to keep in mind! Garbanzo beans: garbanzo beans are high in fiber and protein. The perfect base for edible cookie dough. 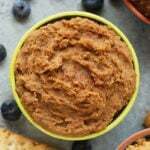 Nut butter: cashew, almond, and peanut butter make these edible cookie dough recipes extra creamy and flavorful. Oh, they also add healthy fats and protein! Sweetener: we prefer maple or coconut sugar when it comes to edible cookie dough, but you can always swap out for honey, agave, or any other sweetener you prefer! Spices: you can never have too many spices. Think vanilla extract, cinnamon, etc.! Add-ins: when in doubt, add your fav add-ins! Our favorites include mini chocolate chips, sea salt, dates, etc.! 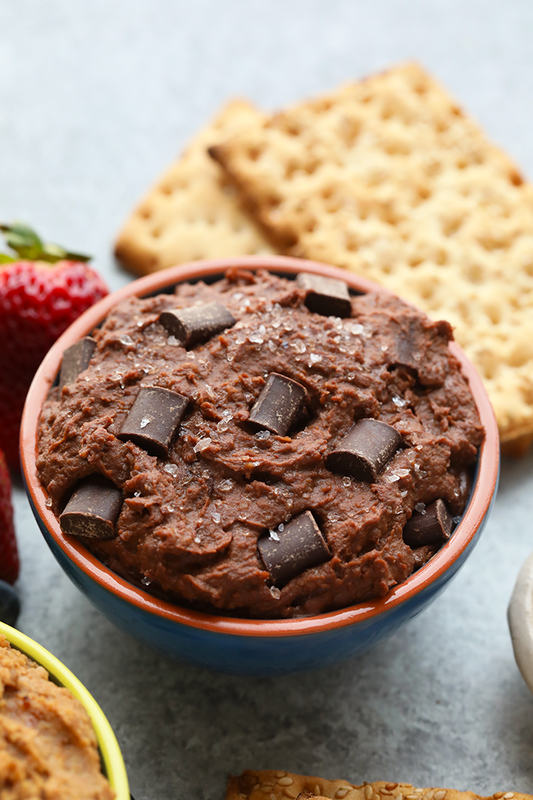 This chocolatey bowl of heaven is packed with protein and fiber thanks to a whole can of garbanzo beans. 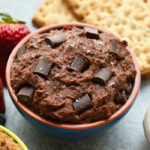 To make our Brownie Batter Sea Salt Edible Cookie Dough Dip, blend together garbanzo beans, cocoa powder, maple syrup, almond butter, and sea salt and you’ll be licking this bowl clean…no boxed brownie batter necessary!